There are many types of loss that can trigger grief – it’s not always about losing a loved one. For example, it may be that a colleague is going through a relationship break-up or divorce, perhaps somebody has re-located to your company miles away from their home and they’re finding it a struggle, or maybe they’ve lost the family pet. Whatever the loss, it’s personal to them and how somebody feels is entirely appropriate to whatever grief they’re experiencing. I believe that everybody has a role to play in helping somebody to grieve in a healthy way. Whilst the grief itself isn’t within your power to control – nor should you want to – as a boss, employer or colleague, please remember that it is your business to help and support. • Recognise it in the first place. When somebody is grieving, it’s important to acknowledge and respond to how they’re feeling. Not just with a “sorry for your loss” whip round (as lovely as flowers are) but also by asking them how they are and what they need. • Avoid making any assumptions about how they are coping or not coping. Grief and loss is personal. What I see every day in my own clients is that no two journeys are the same because no two losses are the same. Be aware of this fact. • Manage your expectations of your grieving colleague. They are responding to their circumstances accordingly with the resources they have available to them. There may be some displays of emotion which you or others find uncomfortable, or it may last longer than you ‘expected’. Here’s the thing, these are your expectations. • Apply some emotional intelligence. be flexible enough to respond to grieving colleagues dependant on how they’re feeling. The grief journey takes people on many ups and downs. In one moment, they may feel able to partake in some office banter and giggles. In another moment, they may feel upset. Be ok with this and respond accordingly. This isn’t about treading on “eggshells”, it’s about being aware of their feelings. • Simply listen. I’m not asking you to become their therapist and you don’t need to offer ‘advice’. Just be genuinely interested in how they’re doing and how they’re feeling. Having their feelings heard can help people to cope with this transitional period. • Encourage them to find support outside of work. Grief can feel like a lonely place so it’s important the support structure extends beyond the workplace. You could suggest therapy, coaching or ask if they can talk to a trusted family member or friend. In my grief and healing, I was fortunate to be offered access to therapy via my employer. • Talk about HR support. 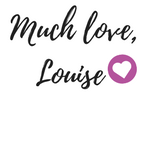 Whatever your HR policy is around supporting grief and loss (or maybe it’s non-existent *sharp intake of breath*), let them know what their options are. Perhaps they are entitled to take some time-off if this would help (don’t assume it would), or maybe their workload can be reduced. If a colleague is returning to work after a loss, then it might be within your policy to reduce their working hours for a phased return. Please don’t assume they know any of this or have the capacity right now to go searching for the information. • Be mindful. My personal grief resulted in poor mental health and it was this that led me to longer periods off work. Tune into any signs or symptoms that your colleague may not be coping with their grief. When this happens, talk to them about your concerns and encourage them to seek professional help. I highly recommend Mental Health First Aid training in the workplace. 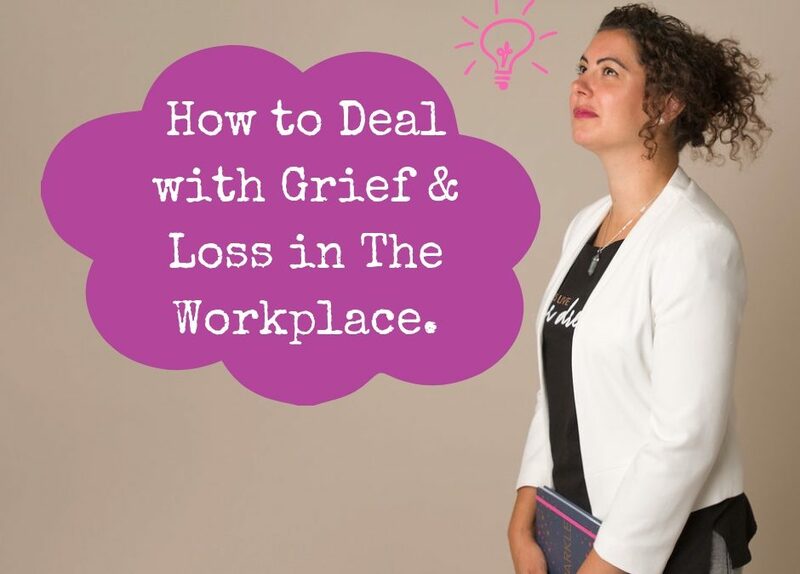 The biggest barrier to dealing with grief and loss in the workplace that I’ve witnessed, is to not deal with it at all or pretend it doesn’t happen. This in my view, is not cultivating a healthy working environment and it’s likely that individuals who need help are unlikely to receive it. We all know the impact this can have on productivity, sick-leave and workplace wellness. Loss and grief are a part of everyday life, so it’s crucial we learn how to deal with it as effectively and constructively as possible. Come from this angle and I guarantee this will contribute towards making your workplace a happier place to be. if you’d like to know more about how I can work with your organisation to improve wellbeing in the workplace, please contact me.